The Lou Dobbs Financial Report offers listeners the kind of up-to-the-minute perspective that only America’s leading Financial authority can deliver. Lou Dobbs, anchor of Fox Business’ Lou Dobbs Tonight news hour, delivers to your radio audience three fresh reports daily each examining the market, analyzing trends, and opening the eyes and ears of investors everywhere. Stations create tremendous local sponsorship opportunities by targeting businesses that serve high-income listeners. Lou Dobbs graduated from Harvard University with a degree in economics. His work has been seen by millions on FOX News Channel, CNN, FOX Business Channel and other major media outlets. Dobbs has won nearly every major award for television journalism. In 2005, the National Academy of Television Arts and Sciences awarded Dobbs the Emmy for Lifetime Achievement. 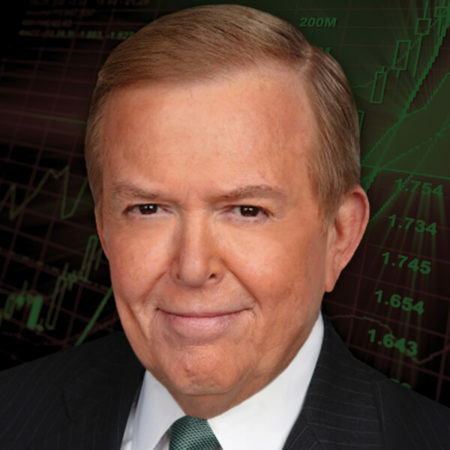 The previous year, the National Television Academy awarded Lou Dobbs Tonight an Emmy Award for “Exporting America.” He received the George Foster Peabody Award for his coverage of the 1987 stock market crash. In 1990, he was given the Luminary Award by the Business Journalism Review for his “visionary work, which changed the landscape of business journalism in the 1980s.” He also received the Hugh O’Brien Youth Leadership in Media Award at the 2004 Albert Schweitzer Leadership Awards Dinner for his commitment to helping high school students seek out, recognize and develop leadership potential. In 1999, he received the Horatio Alger Association Award for Distinguished Americans and, in 2000, the National Space Club Media Award. Dobbs was named “Father of the Year” by the National Father’s Day Committee in 1993.